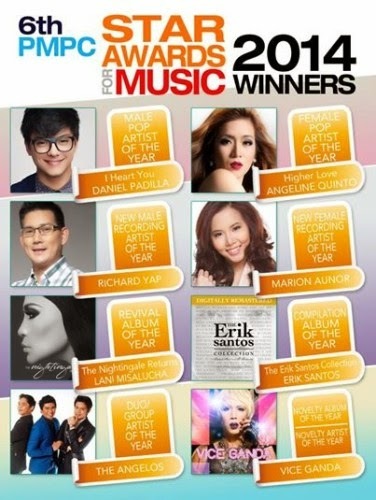 The 6th PMPC Star Awards for Music 2014 revealed its winners at an awarding ceremony held on September 14, 2014 evening at the Grand Ballroom of Solaire Resort & Casino. It gave recognition to the country's best OPM artists, songs and albums for the year. The event was hosted by Christian Bautista, Maja Salvador, Jake Cuenca.